Proof that it doesn’t always take months of planning, Steve and Stephanie organized a breathtakingly-lovely riverside wedding in only a few weeks! 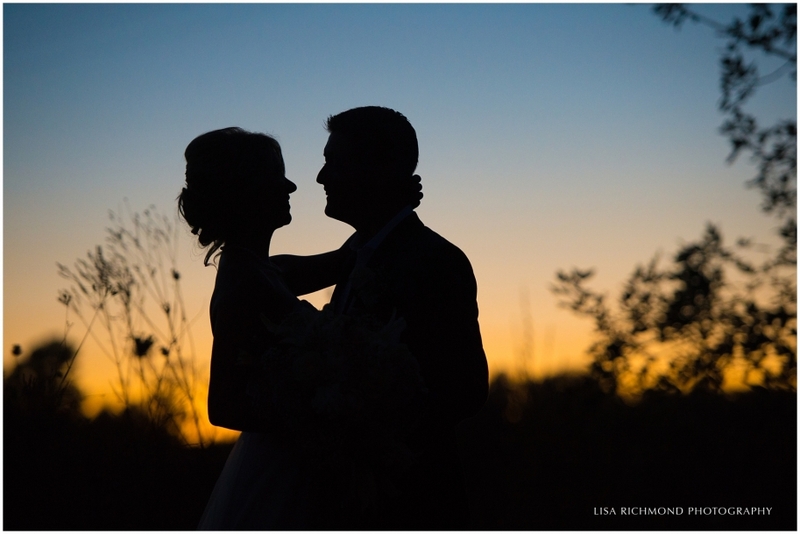 Having worked closely with Steve in the wedding business, I am completely versed on his easygoing, calm style, so there was never a doubt in my mind that he and his bride could pull this off without breaking a sweat. 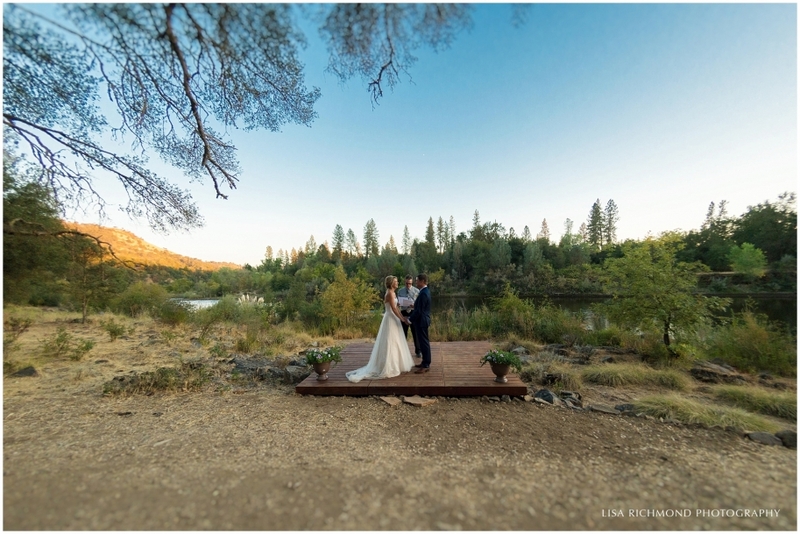 They even handled a last minute venue change with ease: when many more guests arrived than what the couple had expected, they moved their ceremony from the hilltop to the river to accommodate all their friends and family. Any successful marriage requires a good deal of compromise and grace under fire, right?? On their wedding day, Steve and Stephanie more than proved that they have what it takes for a solid partnership. Speaking of extra guests, two people that weren’t expected were Stephanie’s parents. They live in Germany (Stephanie’s home country!) and no one expected them to be there since they had just visited at the end of the summer. Buuuut…on the day of the wedding they made a surprise appearance. Stephanie saw them shortly before the ceremony, but Steve wasn’t in on the surprise until Mom and Dad walked his new bride down the aisle! I was so excited to catch the look of surprise on Steve’s face. Precious, and priceless. Getting married riverside was completely natural for these two. When Steve is not emceeing weddings he enjoys river rafting trips and used to be a professional guide, and has even taken my family out for some summer rapids. Seeing him and Stephanie say “I do” in an environment that is so close to their hearts was really special for me. Although we lost the light pretty quickly down by the river, we did have some good fun bushwhacking through the brush to get some sunset shots. What troopers! I had never met Stephanie before, but felt like I knew her so well through my friendship with Steve. 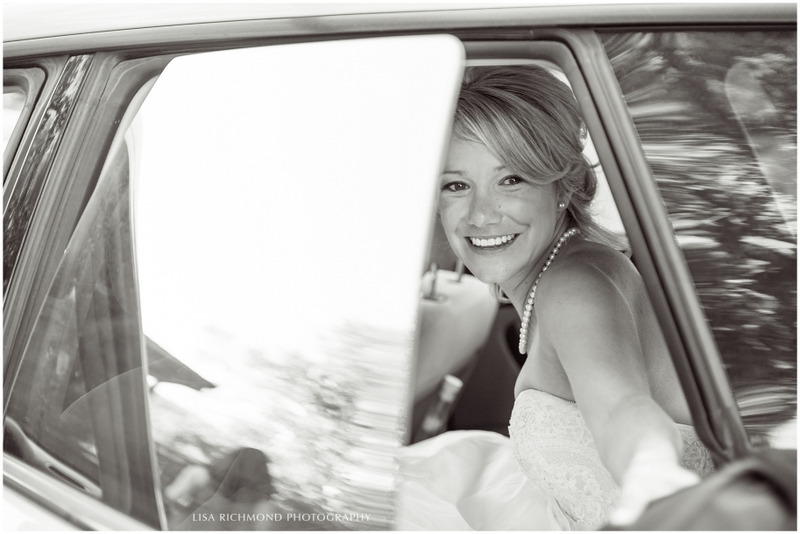 Meeting her for the first time on her wedding day – well, I was pretty much taken by her sweetness, joy, and effortless beauty. I am so happy that I had the privilege of documenting this day for my friend Steve and for making a friend in Stephanie in the process. You two are a wonderful couple, and I wish you nothing but the best that married life has to offer!